Virginia Beach bankruptcy lawyer John G. Merna was formerly the president of The Tidewater Bankruptcy Bar Association. 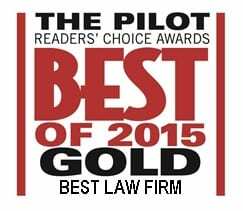 His firm has been voted “Best Law Firm” by the readers of The Virginian Pilot … six-years in a row. This year his firm was acknowledged at one of the Top 100 Bankruptcy Firms by Laws.com and more. Mr. Merna feels that his greatest accomplishments are the rave reviews of his clients which you can find on our Client Testimonial page on this website. We know what your are trying to find out! Will a bankruptcy provide the relief I need? What is the effect of bankruptcy? We can answer them all, quickly and fully, during a free consultation. Give us a call today at 1-800-662-8813. We are on Virginia Beach Boulevard near the Rosemont intersection. We offer affordable rates and payment plans. The Merna Law Group has been the premier bankruptcy law firm in Virginia Beach for over a decade. Whether you are faced with foreclosure, garnishment, creditor harassment or lawsuits the experienced and expert Virginia Beach Bankruptcy attorneys of The Merna Law Group can provide fast, efficient and complete relief from your unsecured debt. Each attorney with Merna Law has experience assisting clients to review their financial situation, evaluate the solutions available and execute a plan to get a fresh financial start. Highly-regarded in the Virginia Beach legal community their dedication and success as bankruptcy advisors, the attorneys at Merna Law can provide high-qualify, personally-tailored, affordable solutions to you financial dilemma. As accomplished consumer bankruptcy lawyers in Virginia Beach, Virginia, we believe that effectively identifying solutions to our clients’ financial issues begins with a true understanding of our clients themselves. The families and military members of Hampton Roads put their legal needs in our lawyers care and deserve to work with legal advisors who are available, easy to communicate with, and responsive. Our Virginia Beach bankruptcy lawyers learn all they can about our clients’ situations. Our mission at Merna Law is to provide quality, personalized legal services to the residents of Virginia Beach and Hampton Roads. By setting the standard for legal excellence, the lawyers of Merna Law will strive to be the provider of choice among bankruptcy law firms in Hampton Roads, Virginia. Merna Law has set goals to continually meet client expectations. We achieve those goals by reaching favorable outcomes for clients in the most efficient and cost-effective manner. Our Virginia Beach bankruptcy lawyers are qualified and highly-skilled in their areas of practice. Always treating each client with respect, our team of attorneys has maintained a reputation as honest and effective commercial bankruptcy lawyers in Virginia Beach, Virginia. TO SCHEDULE A FREE CONSULTATION TODAY WITH MERNA LAW CALL 1-800-662-8813 OR CLICK ON THIS LINK.